Opened originally as the Acme Theatre in 1913 and later as the Wayne Theatre, this theatre was operated by Wilby-Kincey Theatres. Seating was listed at 420. The Wayne Theatre closed in 1955 and has since been converted to retail. There were two other theatres on Center Street from the Wayne Theatre called the Variety Theatre and The Paramount Theatre. The December 20, 1913, issue of The Moving Picture World included the Acme Theatre at Goldsboro on a list of theater subscribing to the American Motion Picture Supply League. The decorative tile work on the Acme's facade is of a style that was popular in the 1910s, and is probably the theater's original decoration. 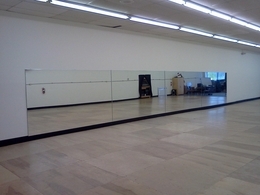 On February 2011, Dr. Charles and Melissa Zwerling purchased the Acme Theatre property on Center Street to create a new Performing Arts Center rehearsal space for the non profit artistic companies of Wayne County. The goal of the new center will be professional rehearsal space to prepare the artists for their performances at the Paramount Theater as well as other venues in Wayne County. 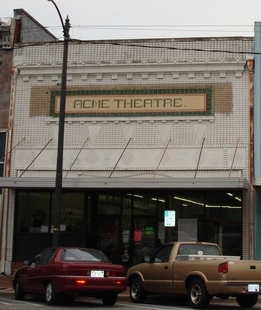 In 2012 the restored ACME Theatre in Goldsboro serves as a performing arts rehearsal studio (ZPAC) for all the performing arts in Wayne County, NC. The 4700 square foot facility has a 2400 square foot floating dance floor, stage, and professional audio sound and recording equipment . Currently, ZPAC or the Zwerling Performing Arts Center is home to Encore Entertainment, The Miss Goldsboro Scholarship Pageant ( member of the Miss North Carolina and Miss America Organizations), and the Dancing Stars of North Carolina.